The major events of the weekend were the European trials at the Liverpool Cross Challenge and the English Schools Cross Cup at Newquay. Find an online Liverpool Cross Challenge report here, with much more in-depth coverage to be included in Thursday’s Athletics Weekly. An online English Schools Cross Cup report can be found here, again with much more to be published in this week’s magazine. World Junior Championships pole vault finalist Adam Hague cleared 5.41m at the Sale Open for a British junior indoor pole vault record. The 17-year-old, who will still be a junior in 2015 and 2016, had a previous best of 5.35m recorded outdoors in July. Neil Winter holds the British under-20 outdoor record with 5.50m from 1992. 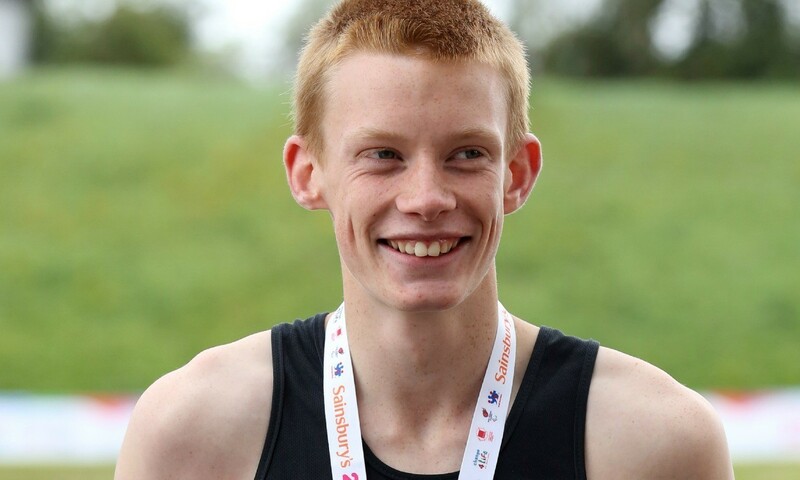 Niall Brooks, who competed for England in the 2010 Commonwealth Games after finishing fourth in at that year’s World Junior Championships at 800m, won the 600m in 1:21.40. James Cripwell won the handicap by 11 seconds though seventh placer Carl Avery ran the fastest time with 35:42 as Tyne Bridge won the men’s team event. Maxine Czarnecka won the women’s handicap with Emma Holt the fastest with 27:39. There were wins for John Newsom, who won the men’s race by over a minute in 34:44, and Moira Davies, who won the women’s race by 20 seconds in 24:42. Kenya’s Asbel Kipsang won the men’s race in 2:09:55. Ethiopian Gebireyes Ehite won the women’s race in 2:31:28. Britain’s Mark Kallenberg was 15th in 2:25:20. Sydney 2000 Olympic marathoner Mark Steinle, who ran 2:09:17 in the 2002 London Marathon, finished 60th in 2:43:16. Paul Pollock followed up his win in the Irish Inter Counties with another victory in 30:10. London 2012 Olympic marathoner Scott Overall won the race in 30:03. Katrina Wootton continued her return from heel surgery with a two minute victory in 27:40. Ian Kimpton won the men’s race in 24:19. Callum Wilkinson (50:33) and Grazina Narvilene (54:05) won the open walks while Trevor Jones (1:52:53) and Maureen Noel (2:17:16) were the leading masters. Multi world record-breaker Arthur Thomson impressed with a 2:09:05 victory in his M75 category, a minute quicker than his time in the same event last year. Margaret Moody achieved the weekend’s top age-graded performance with 22:30 at Black Park which scored 91.45% to be narrowly top from her English Masters W65 team-mate Ros Tabor who ran 22:34 for 91.18%. The fastest women’s time was from Racheal Bamford at Leeds Hyde Park with 16:43. James Bailey ran the fastest men’s time of the day with 15:36 at Congleton.